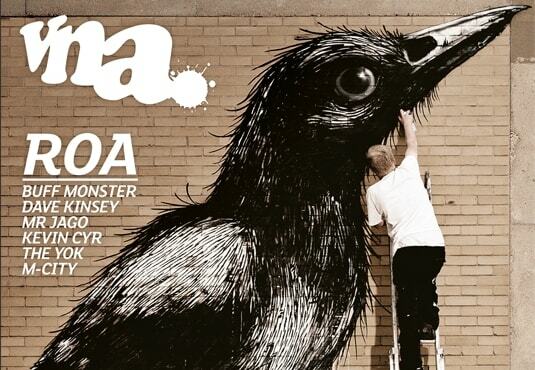 ROA keeps busy, no doubt. His trademark animal murals now bless walls in Australia, Austria, Chile, Sweden, and more. In February, the Belgian held an exhibition at Stockholm's Scarlett Gallery, once again proving that he is master of the indoor/outdoor street art dynamic.